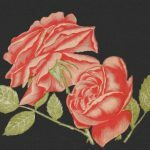 A growing collection of flower drawings and photos that are copyright free and in the public domain. 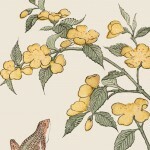 Use these vintage flower pictures anywhere you might need a touch of old-fashioned goodness. 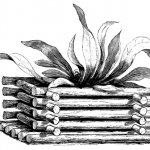 Great for scrapbookers, mixed media artists, and other creative projects. 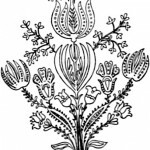 Many of our downloadable flower images are simple black and white flower line drawings would be great to use for children’s crafts like coloring books, stickers, and greeting cards. They’re just waiting for someone to give them a bunch of color. 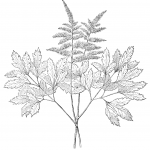 Looking for herb images? 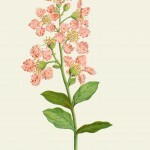 Be sure to check out our copyright free herb illustrations. Fruit images with flowers where the fruit is the primary focal point can be found in the Images of Fruit category. Flower images in black and white or grayscale. Vintage floral bouquet drawings from old books, magazines and catalogs. 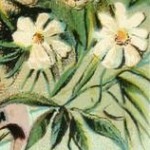 Daisies are such pretty flowers and the ones in this group of vintage images are no exception. 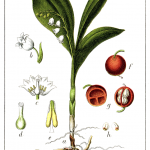 Vintage drawings of lily of the valley for you to enjoy. Vintage morning glory flower drawings. Beautiful orchid images for you to incorporate into your own creative projects. If only we could smell the wonderful scents of all of these beautiful roses. Pink flowers of mixed types for you to enjoy. 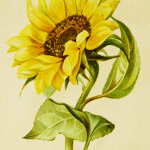 Vintage simple flower drawings. Everything from simple little doodle-like flowers to botanical prints that don\'t fit other categories. All are done in color. Pictures of sunflowers in both color and black and white.